There’s always one wackaloon in my neighborhood handing out Christian tracts. This year’s is especially lovely. 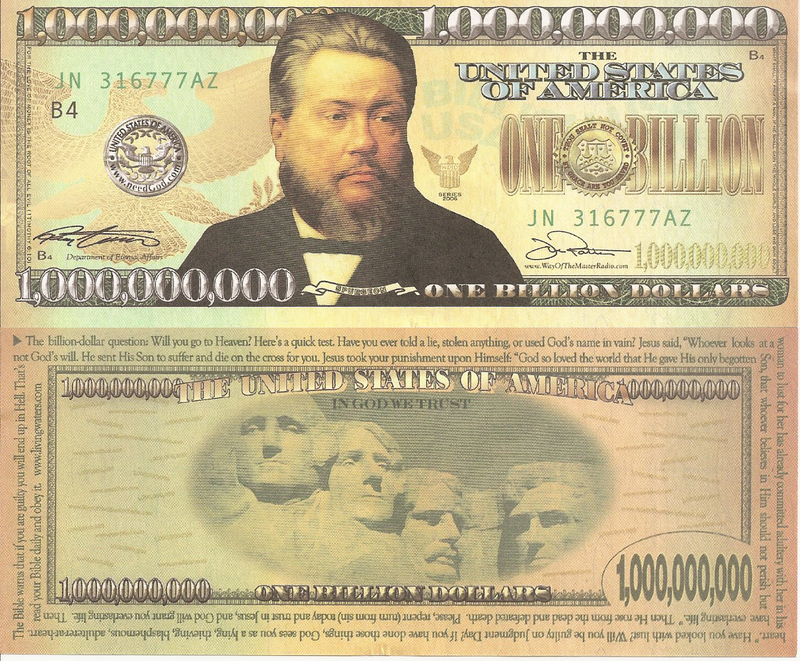 A $1-Billion bill, with the “Billion Dollar Question” on its reverse side: “Are you going to Hell?” Of course it also tells you the only way to avoid it is to read and obey the Bible. Brought to you by Ray “BananaMan” Comfort, and Living Waters Ministry. A great gift for kids! Anyone else suffer this kind of silliness and want to share?